What Is the What is a beautiful, heart–wrenching journey. It is a story of war, of struggle, and of coming of age. It is more than a novel, and it is more than a biography. It is true, and it is also truth. 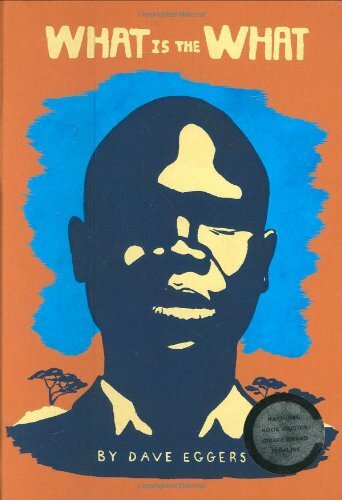 It is Valentino Achak Deng's story, told as if it was Dave Eggers', and yet it belongs to Eggers as well. It is a story that, once told, belongs to all people. The novelist and short story writer James Salter once said, only somewhat facetiously, "Man was very fortunate to have invented the book. Without it the past would completely vanish, and we would be left with nothing, we would be naked on earth.This is the weight of Valentino's story, and it is the charge taken up by Eggers. More than numbers and facts about a war in a country halfway across the globe, What Is the What is the story of one of our own, a real person, a character, protagonist, hero; a Lost Boy of Sudan alive and well somewhere in the United States. Jonathan Fitzgerald is adjunct professor of English at Gordon College. Copyright © 2007 Books & Culture.Click for reprint information.